Found that one yesterday. Could it be the new strive? Looks like a regular Spectral. Good point. And the strive is very long in the tooth. The torque is a park or freeride machine, the Spectral is a trail bike with the strive being a clear enduro machine. I am fully expecting a new one for next year given last years refreshes of the other two, going 29 would make sense as well. I beg to differ. The current guise of the Torque is a great enduro machine. The current Strive being somewhat meeh in the geometry and suspension department (I had one for two years). Also the junction between the seatube and the orizzontal tube hasn't the orrible welded triangle. That's just a regular Spectral WMN, the women specific version of the bike. The Strive is a very old platform, Barel tested the prototypes during the 2014 EWS season and the bike then debuted in 2015. The first 27,5 inch Reign also came out in 2015 and was refreshed this year. Geometry wise, the old Reign was even more aggressive than the Strive, but the Strive is not all that outdated yet. But it is clearly showing it's age (30 mm rim and wide trail tire in the front, 25 mm and an ordinary tire in the rear?) and i am fully expecting a new model for 2019. 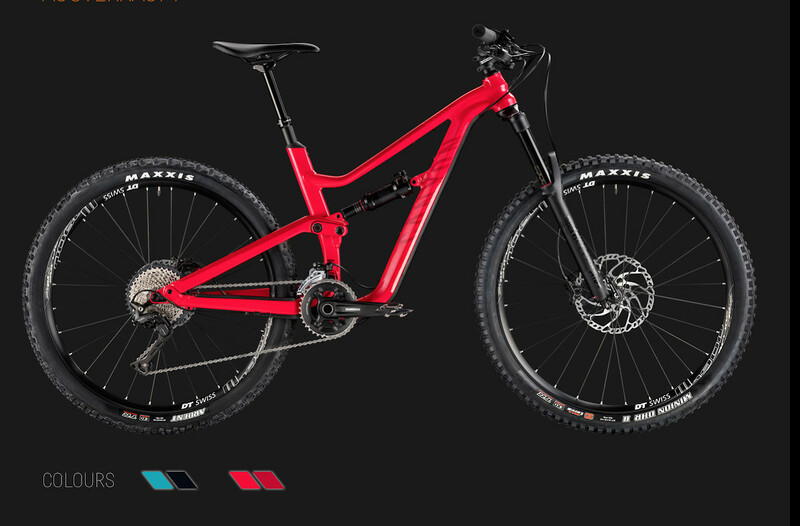 I will be surprised if the new model isn't a 29er (with maybe a 27-incher option as well), given what Trek has done - they have a 27 inch trail bike (Remedy) and a 29 inch racer (Slash). Canyon has the Spectral as the trail bike. As for the Torque, it has always been a freeride machine with it also being a DH machine to boot as well back in the days. 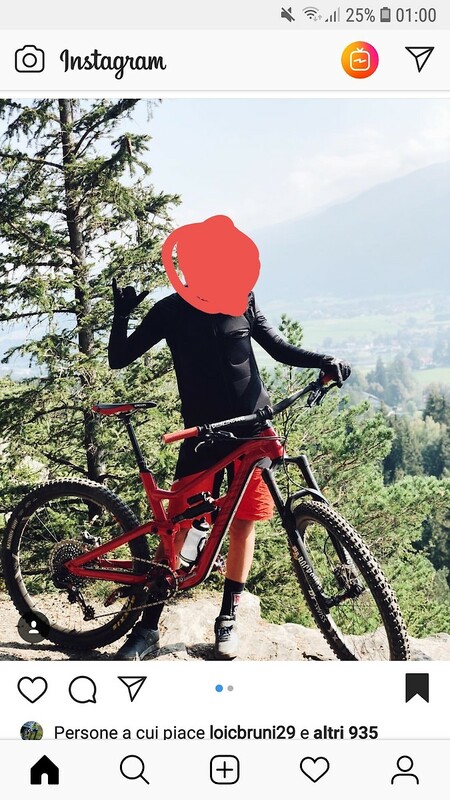 Granted, it has also always been a pedal friendly bike (more or less), but i'd still say it's a bit burly and long legged to be the 'optimal enduro bike', given that many people ride 150 mm 29ers in the EWS. It's also not present in the MTB category on the Canyon site (it ends with the Strive), but is present in the Gravity department (with the Sender, Stitched and, again, Strive). And only the absolute top spec model has Eagle (GX cassette to boot) with the others all on 11spd, while the 2600 € version of the Strive already comes with Eagle drivetrain. So i'd say it passes as an enduro machine, if you want it, but otherwise it's a do it all bike for someone that pedals, races and goes to the park. If you focus more on pedalling and racing, i doubt the Torque would be an optimal choice. tl;dr, let's wait until december, i suspect we'll be seeing a new Strive. looks exactly like this spectral to me except some components. Overheard: an unnamed EWS rider staying put on his current team in 2019 was supposedly contingent on the manufacturer delivering a long travel 29r for him to use next year. Said rider was sighted at Whistler testing what looked like a long travel 29" Enduro bike prior to flying out to Ainsa. Can anyone confirm which rider (or manufacturer) this is? Same with Remi/ALN/Jesse and Rocky. They don't have an enduro 29er either do they? Instinct BC edition is 155 out back which is what I think the two guys are on if not the 140 version. Yup, RM have the Instinct, which is 160/155 in the BC guise. Sure, the Slayer is 27,5 only, but they never raced the Slayer even before they got on the 29ers, they were on Altitudes before that. Also, can't really see them demanding a 29er Slayer? I hate to be a Debbie Downer, but can we please stay on the racing rumors topic, not the 2019/20 bike rumors? 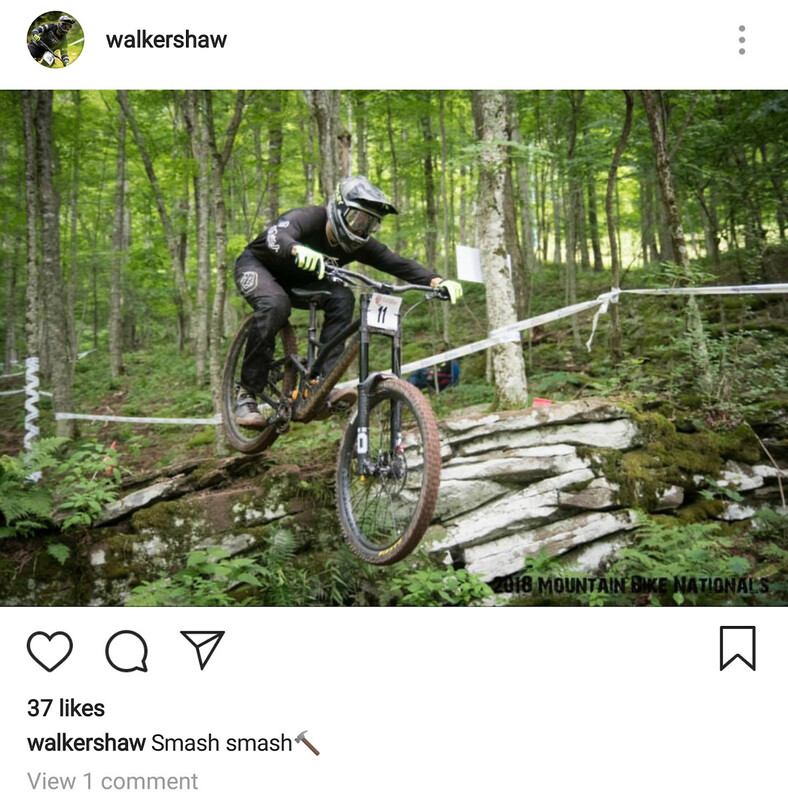 A lot of the EWS racers are posting thanking their sponsors, so if they stop posting things or are not tagging their current sponsors we should suspect that they are changing for next season. About the Canyon above... It's the Spectral WMN. Paula Ibasza posted this pic on her Instagram. I could see Gee doing it, but after his recent return to form I doubt he will. She also said as much during one of the recent Vital slide shows. She's definitely not doing Enduro according to that. And to echo the other comment about Gee returning to form, same for him. He'll most likely stick with DH now that he is back up to speed. The Gwin off YT rumors are most interesting... Being that the Mob is basically his team with Martin managing, if he leaves, does the team go with him? The Athertons leaving Trek... Who has the budget to pay for them? Correct, the “mob” is Aaron and Martins, and they have YT as a Bike and naming sponsor, that’s pretty nuch it. Mob will still be on YT next year. It doesn't have to be Gee and Rachel. Atherton Racing has had Enduro riders in the past, most notably Martin Maes and Dan Atherton. In post from Trans-Cascadia Eliot Jackson (16th) have empty team field. Possible move somewhere from Giant? That doesn't really mean anything, Many race registration websites fail to load teams and sponsors, especially since it isn't in a series. For example, Ty Hathaway, rides for specialized and sram as he owns a shop in the LA area. Sram even did a steps to the top video with him. How do you know for sure it is a 29er. He never mentions that in the post. BIKERUMOR: Are you making any big changes to the bike for next year? Is there a new bike coming? Rachel: Yeah, big changes on the horizon for us. So yeah, watch this space! True, it may or may not be a 29er but it's the same frame configuration of the 29 prototype the team had earlier this year. I have friends that saw him at nationals on the 29er prototype, the same bike shown in the pictures.